Pinterest's Lens has been described as a kind of 'Shazam for objects'. If you're unsure of the make or identity of an item, take a photo, and Pinterest will conduct a reverse image search to find out what it is. That's already impressive, but now they've extended the feature to make it capable of something downright mind-blowing. You can now use it to search for the ingredients and recipes in meals. Let me give you a real world example: you're in a restaurant, eating a meal you're really enjoying and you'd like to find out how to make it yourself, so you snap a picture of the meal, resist the urge to load up Instagram and stick it on Pinterest instead. The Lens search will then bring up a list of various recipes for that dish from different sources. While it's not exactly difficult to just look at the menu again and Google it when you get home, the impressiveness of this feature doesn't step from it being convenient, it's more the fact that from a single photo of a plate, it can recognise what you're eating and immediately show you how to make it yourself. It was already possible to point the camera at specific ingredients to find recipe suggestions, but this takes that notion even further. 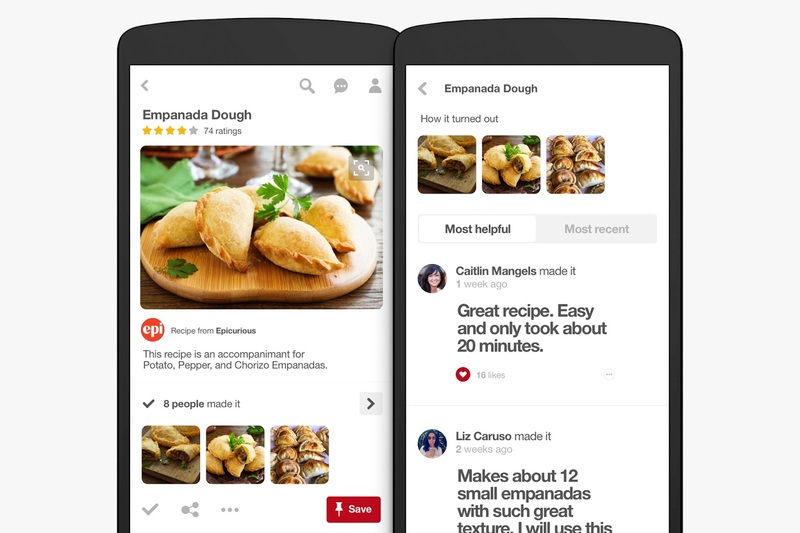 To bolster this, Pinterest have also improved their search filters for recipe searching, so when you're actively looking for dishes featuring a particular combination of ingredients, you can be a lot more specific, including parameters like cooking time and dietary needs. Pinterest is fast becoming one of the most useful culinary tools online, which is a big statement, and a strong indication of how rapidly the platform is transforming. Because Lens Camera is based on a deep learning system, and because Pinterest are also working to help it recognise even low res images, this is just the beginning.